Recipient area is the canvas in a hair transplant surgery, where the surgeon can truly display his artistic creativity and deliver an aesthetic masterpiece, after all hair transplantation is as much about art as science. There are four main steps in dealing with the recipient area. Marking the hairline and estimation of grafts is the most important steps to give a natural look. There are multiple anatomical markers that need to be addressed while drawing a hairline. The second step is the anesthesia and it should be as painless as possible. This is followed by implantation, which can be achieved by various techniques. There are multiple technicalities to be considered while implanting, such as density, angle, and direction. Once implantation is done, the final step is appropriate postoperative care. Each of these steps has been discussed in detail in this chapter. This is the most important step in a hair transplant surgery. It should be designed in a way so that it not only fulfils present demand to make the patient happy but also adapts to the changing facial architecture of the patient in future as aging advances. Patients racial characteristics also influence the hairline shape. Hairlines in Caucasians is “M”-shaped and this can be achieved with a sharp “V” hairline (this suits an elliptical face) or a blunt “U” hairline (suits a round face), whereas in Afro-Americans, the hairline is more flatter and in a straight line. Indian patients in general favor a more rounded hairline, often demanding a low hairline. The hairline is first drawn during the consultation to give an estimate about the number of grafts required and finally it is redrawn preoperatively on the day of surgery, with markings for the density and indication where the single hair or multiple hair grafts need to be planted. We also recommend that the hairlines be documented on photography and also recorded in the consent form that hairlines drawn have been seen and approved by the patient. Drawing the different anatomical points of the hairline has been explained in [Table 1] and [Figure 1]. The hairline should never be placed too low, even if the patient demands it. This will give an unnatural look with advancing age and also deplete the donor area, as it requires higher number of grafts. Estimation of grafts: This can be carried out by calculating the area (per sq. cm) and multiplying by 35, 35 units/cm2 is the optimal density required to give an acceptable result in Asian patients. However, this number is relative. If a patient has a donor area where most of the follicular units comprise 1–2 hair follicles only, then a higher density will be required to give a dense look. Another method to measure the density is using a graph paper, tracing paper, and a gel marker pen. The area to be transplanted is marked with the gel pen and then a transparent paper or butter crepe paper is kept on the marking. This duplicates the marking by making an impression on it. 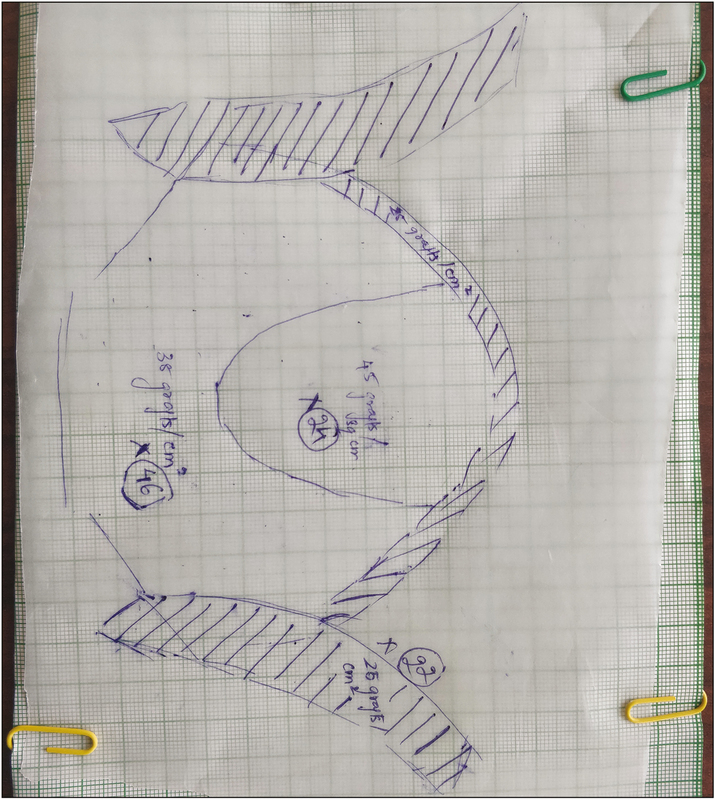 This tracing paper with marking is kept on the graph paper, which helps in counting how many grafts will be required in each area. As we transplant different densities in each area, this method helps to get a more accurate measure. Trichoscopy is also a good method to give an estimate about donor area availability and recipient area requirement [Figure 2]. 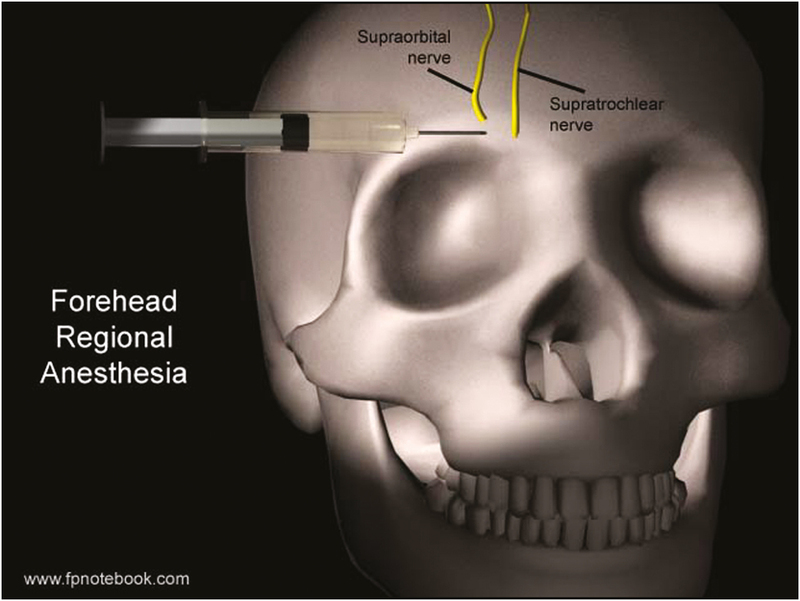 This can be performed with or without nerve blocks, followed by ring block and infiltration. Before discussing the various techniques of implantation, it is important to know the general principles of implantation. The three principles to be considered are density, distribution and arrangement, and angulation and direction of hairs. Density is the most important principle/rule while implanting. On an average, the central tuft should have a density of 40–45 grafts/cm2 and the frontal transition zone should have a density of 25 grafts/cm2 [Figure 4]. Giving a very high density of more than 60 grafts/cm2 can hamper the dermal vasculature and create an environment of ischemia, leading to less graft survival. It also causes premature depletion of the donor area; however, the recent availability of body hair has made larger number of donor hair available and removed this limit, at least in some patients. It is also important to analyze all the factors for optimum results, not just density, which contribute to appearance. These include the thickness of the hair, number of follicular units of different types, the color, direction, frizziness, and so on.,, It is vital to consider patient’s requirements also. To achieve natural results, two other aspects that need detailed discussion are angle of implantation and direction. The angle of implanting the graft should be 45degrees or less and even further acute in the temporal triangles. Giving a higher angle makes the hair stand up or difficult to comb. The direction of the slits can be done in a radial pattern extending outward or following the natural angle of the hair. In case of vertex implantation, the direction is in a whorl pattern using the concept of crosshatching to give illusion of higher density. Although in most patients, the follicular unit grafts are adequate, in some situations, particularly patients with thin hair and 1–2 hair grafts, larger grafts are needed to create density. In such instances, larger grafts containing multiple follicle units (4–6 hairs) or coupled follicular units can be used. However, they should be placed only in the center of the bald area as they are not aesthetically pleasing. There are multiple methods of implantation of grafts with variable combinations. The two main types are slit and forceps implantation and implantation with implanters. As the name suggests, this method uses forceps to insert grafts into slits or holes. The slits can be premade, all in one go followed by insertion called premade slit and forceps method. Alternately, a slit can be made followed immediately by grafts insertion called the stick and place method (simultaneously making slits and placing grafts). The slits can be made either perpendicular to direction of hair called coronal slits or can be made parallel to direction of hair called sagittal slits. Each of these types of slits has their own merits and demerits and one must chose the method that suits them the best. The slits can made either with blades or with needles. Instruments needed are shown in [Table 2]. Premade slits method: For making the slits, the surgeon sits at the head end of the patient. The instrument of choice, for making the slits, is held in the dominant hand between the thumb and the index finger and supported with the middle finger, with the sharp end facing the surgeon. Keeping an acute angle and as per the predecided design of hairline, slits are made. The depth of the slit should be 1mm less than the graft length, if it is deeper it can cause deeper implantation, causing folliculitis and if it is too shallow, it can cause popping of grafts. After making the slits, they are stained with methylene blue or gentian violet to help identify them during implantation. Implantation into slits is carried out with an angled forceps and can be done with one or two forceps. In the two-forceps method, one forceps splits the slit wide to assist the placing of the grafts with the second forceps [Figure 5]A and B. The graft is held just above the bulge area, with care taken not to damage it. We also use a newer method, where two forceps are used, and during implantation, the second forceps holds the grafts at the hair shaft above the epidermis to avoid damage to the graft. The major advantage of premade slits and forceps methods is that it allows the surgeon to plan, in one go, the entire area, paying attention to the different aforementioned factors. The disadvantage is that this method needs an experienced team, which can dissect in time the required number of grafts and then place them quickly in the sites. 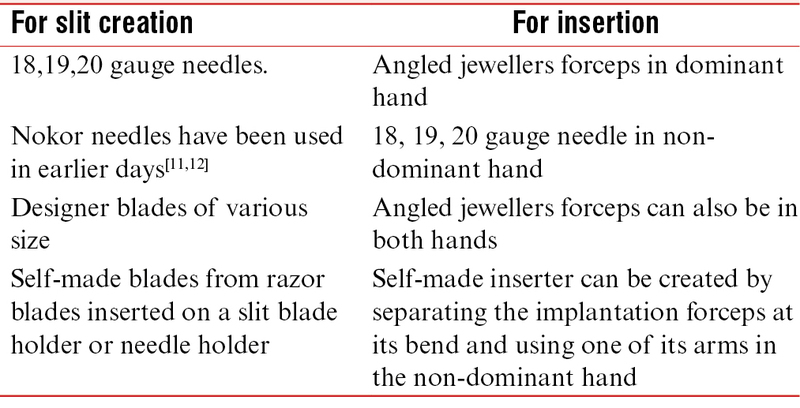 Stick and place method: In this method, an 18G needle is held in the non-dominant hand for making the slits and simultaneously, a forceps in the dominant hand is used to implant the graft. 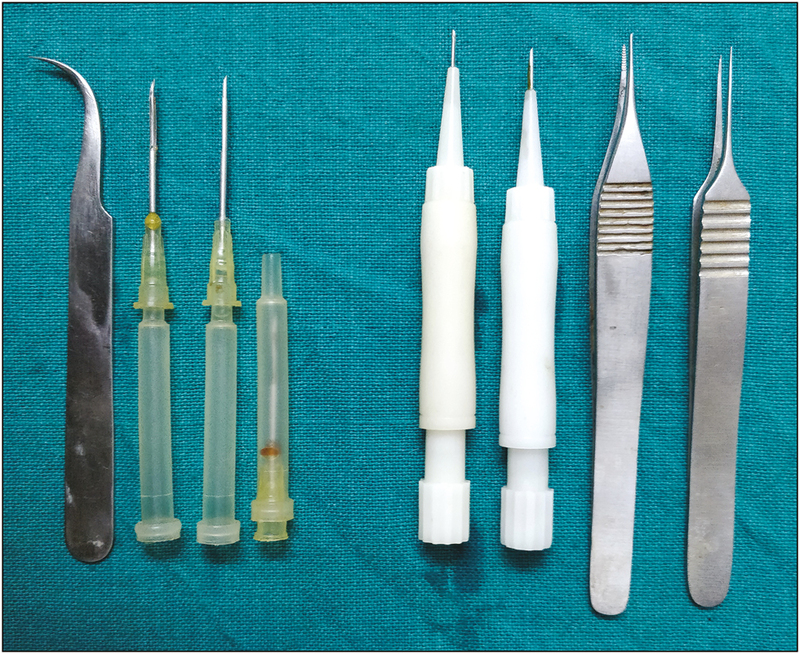 When the needle is inserted till the desired depth, the graft is pushed into the beveled gap of the needle, now as the needle is pulled up, the graft is pushed further down into the slit. 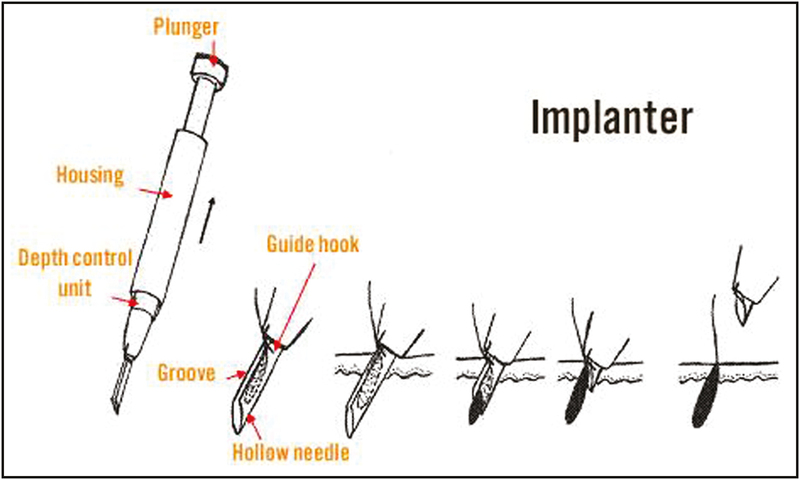 Reverse implantation can also be carried out by this technique by holding the graft at the shaft above the epidermis and using the beveled hollow of the needle to insert the grafts. The major advantage of this method is that putting the grafts inside immediately minimizes bleeding, it is very suitable while inserting in hairy areas and is entirely under the control of the surgeon. The disadvantages are that the method is time-consuming. There are specialized blade holders available now to make slits that can count the number of slits made simultaneously. Stamp technique: Stamps can be purchased or made with premarkings of density (40/50/60 dots/cm2), these help in being certain of the density being given rather than an approximation by the surgeon. The newer version of the ARTAS robotic hair transplant device can now implant too. 2. Excessive bleeding: This may occur in any cases, not necessarily in a patient on blood thinners or alcoholic only. High blood pressure can also lead to more bleeding. Using tumescent anesthesia with adrenaline is most helpful in these cases. Also, it is important to wait 5min after injecting tumescent anesthesia, to let the adrenaline start acting. Using ear buds to apply pressure on the individual bleeding slits has been tried by few surgeons too. 3. Desiccation of grafts: To avoid desiccation of grafts during implantation, it is important to give irrigation to the grafts during all steps. Limmer performed an in vivo study using chilled normal saline as the holding solution. The results are shown in [Table 3]. Limmer related a good “rule of thumb,” stating that the loss was roughly 1% per hour. From the time the grafts are removed from the holding solution till the end of the surgery, it is the technician’s responsibility to maintain the hydration of the grafts. A designated technician is given this task. We prefer using a 10-mL syringe with a 26G needle attached for this purpose. Alternately a spray bottle can be used to keep the grafts hydrated. To decrease the pressure of water, the 26G needle is broken and then attached. Irrigation also helps in maintaining a bloodless and clean field for surgery by washing off the excess clots. Implanters were designed to automate the process of implantation and make it easier. This device was first invented in the 1990s by Yung Chul Chou of the Kyungpook National University, who designed the device to reduce the amount of labor involved during hair transplants as well as to reduce the amount of direct physical contact with the recipient’s scalp. By minimizing the amount of direct physical contact, the scalp experiences less trauma during the procedure and can heal more quickly. An implanter pen also shortens the amount of time that the follicular unit spends outside of the body, which in turn increases its odds of survivability. Some of the various implanters designed include the Boudjema implanter pen, Lion implanter, Rassman implanter, Choi implanter, SAVA implanter, and the NeoGraft implantation device. Of these, only the Choi implanter gained popularity and underwent several modifications. It consists of a needle with a bevel where the graft is placed, a body, and a plunger, which pushes the graft into the slit. The hair is placed into the bevel using plain forceps, with the bulb facing the needle. This is performed by an assistant who then hands over the implanter to the surgeon. The implanter is held steady and located on the skin at the appropriate angle. The implanter is inserted in with the beveled side facing sideways and is rotated inside the skin along with pushing the plunger and inserting the graft inside. A depth control mark is present in most implanters to guide the depth of the graft. The implanter is then removed [Figure 6]. Four implanters are most commonly used at the same time with an assistant reloading the implanters, so that minimal time is lost in between grafts. They are available in different sizes, such as 0.8, 0.9, and 1mm, and two different sizes are ideally used during surgery for the different types of grafts. Other implanters—The SAVA implanter: One of the criticisms of the Choi implanter was the fact that it had many moving parts, which could break down and that it was comparatively more expensive. To address these issues, the SAVA implanter was designed in India as a low-cost alternative. Similar to other implanters, the assistant loads the graft into the SAVA implanter before handing it to the surgeon. This implanter comes with an additional device called the introducer. After the graft is placed in the implanter, it is inserted into the skin and then the graft is slid in using the introducer. However, surgeons’ fatigue is more with the SAVA implanter as both the hands are involved during implantation, hence SAVA plus was introduced. It is an upgraded version, which is more similar to the Choi implanter [Figure 7]. Advantages and disadvantages of implanters are listed in–– [Table 4]. Overview: It is important to recognize that all the different methods of implantation have their own pros and cons. A surgeon should be familiar with all methods. Greatest advantage of premade slits and forceps methods is that it reduces the surgeon’s involvement. But it can lead to errors between the dissecting time and the implanting time, as it needs proper coordination. Hence, it is a method suitable for an experienced surgeon with a good team. The greatest advantage of stick and place method is its ease, accuracy, and control. However, it is time-consuming. It is a good method for beginners and is also necessary to know for combining with other methods when needed. The greatest advantage of the implanters is its ease and easy-learning curve; however, it can be more expensive. Ultimately, it is necessary to have all the arrows in one’s quiver to choose the appropriate one for each scenario [Table 5]. Recently, platelet-rich plasma and alone plasma as well have been used as a holding solution. This aspect is discussed in greater detail in another article in this symposium. The grafts when transplanted, because of displacement and time spent out of body, undergo a shift from anagen phase to telogen phase. Hence, a natural loss of hairs is noticed from the second week to the fourth week. The growth then occurs after a lag phase of about 3 months. The hairs then grow 1–1.25cm a month, which is the natural pattern of scalp hair. However, as each hair has its own cycle, it is not necessary that all hair may fall. Early use of minoxidil may decrease this hair fall. It is also important to differentiate this hair fall from shock loss, which denotes loss of existing hairs after surgery and is particularly common over the donor area adjacent to suture area and also over recipient area, when grafting is done amid preexisting hairs. Postoperative care after hair transplant surgery is important both from the view of current surgery and also from the view of possible future surgeries. Postoperative pain, edema, healing, and so on, all affect patient comfort, particularly in strip technique. Patient education is therefore particularly important. A detailed postoperative instruction sheet needs to be provided so that above events do not come as a surprise to the patient. It is in fact preferable to hand over this sheet before surgery so that the patient is prepared to face the issues. Bandaging: This mainly depends on the surgeon’s preference. However, bandaging is preferred by us as it prevents postoperative bleeding, graft displacement, and may also help in providing a moist environment to the grafts. Some surgeons prefer to cover only donor strip wound but not the recipient area. We prefer to provide a bandage to both recipient and donor areas. It is further recommended that a bandage be mandatorily used in excessive intraoperative bleeding, patients who have had popping, agitated patient, patients who have had multifollicular grafts (which are more likely to be displaced), and if in the opinion of surgeon, a risk of bleeding is anticipated. Paraffin-coated gauze should ideally be the first layer of the dressing, followed by roller bandage on the recipient area. Bath and shampooing: Many surgeons prefer to shampoo the recipient area at the end of surgery. Others prefer to do it the next day. Regular shampooing with rubbing off the crusts can be started from 7 to 10 days after surgery. Evidence is lacking for these and hence, it is a matter of individual preference. Bathing: Use of a mild shampoo (we prefer a baby shampoo) is usually preferred at 7–10 days after surgery. Tepid water, which is allowed to trickle on to grafts, is advised than a forceful shower. Frequent wetting with saline helps avoid crusts. Most patients are afraid to touch either donor or the recipient area and need adequate counseling. It is not unusual to see patients return a week later with greenish dust settled on the grafts. Postoperative edema: This can be a major concern for patients, particularly those who need to travel or return to work early. It is important, therefore, to factor in the possibility of forehead and eyelid edema occurring on 4th or 5th day and often persisting for 3–5 days. In our experience, this edema is more common in elderly patients, perhaps because of the lax skin. Several measures, such as use of a head band, injection of steroid triamcinolone into frontal scalp, oral steroid for 3–5 days, mixing steroid in tumescent solution (Abbassi solution), and lying down for prolonged periods to avoid effect of gravity, have all been advocated. Once it occurs, it persists for 3–5 days and in our experience, masterly inactivity, frequent counseling, and watchful expectancy are all that is needed. Cold compresses are usually advised and though their efficacy is doubtful, they at least help in keeping the patients engaged. There are complications that can occur intraoperatively and postoperatively. Intraoperative issues can be excessive bleeding and pain, whereas the ones that are troublesome to deal are the postoperative ones. These include poor growth, recurrent folliculitis, cobblestoning, shock loss, necrosis, and so on. These have been explained in detail in a separate article. Hair transplantation is usually associated with an uneventful and predictable recovery period. Detailed counseling will ensure such a smooth recovery. The surgeon should be available on phone/SMS/e-mail at all times to clear any doubts and issues that arise. Rose PT, Parsley WM. The science of hairline design. In: Haber RS, Stough DB, editors. Procedures in cosmetic dermatology. Hair transplantation. Philadelphia, PA: Elsevier Saunders; 2006. pp. 55-72. Shapiro R. Creating a natural hairline in one session using a systemic approach and modern principles of hairline design. Int J Cosm Surg Aesthetic Dermatol 2001;3:89-99. Unger W. Chapter 6A. Hairline zone. In: Unger W, Shapiro R, editors. Hair transplantation. 5th ed. New York: Informa; 2011. pp. 133-40. Chang SC. Estimation of number of grafts and donor area. Hair Transplant Forum Int 2001;11:101-3. Unger WP. Density issue in hair transplantation. Dermatol Surg 1998;24:297. Marritt EE. The death of the density debate. Dermatol Surg 1999;25:654-60. Farjo B, Farjo N. Dense packing: surgical indications and technical considerations. Facial Plast Surg Clin North Am 2013;21: 431-6. Unger W. Different grafts for different purposes. Dermatol Surg 1997;14:83. Brandy DA. 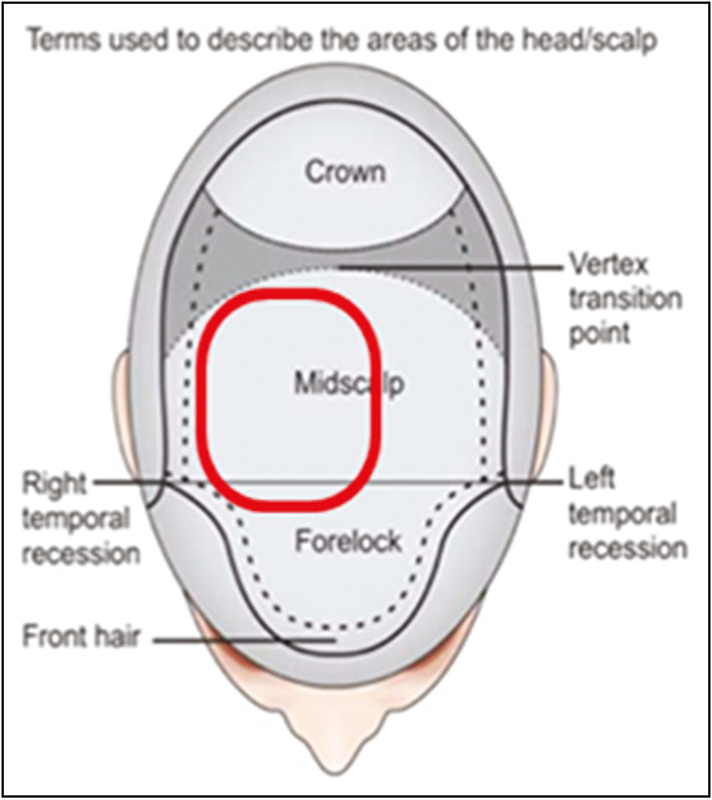 The art of mixing follicular units and follicular grouping in hair restoration. Dermatol Surg 2002;28:320-8. Haddab AM, Kohn T, Sidloi M. Effect of graft size, angle, and intergraft distance on dense packing in hair transplants. Dermatol Surg 2004;30:846-56. 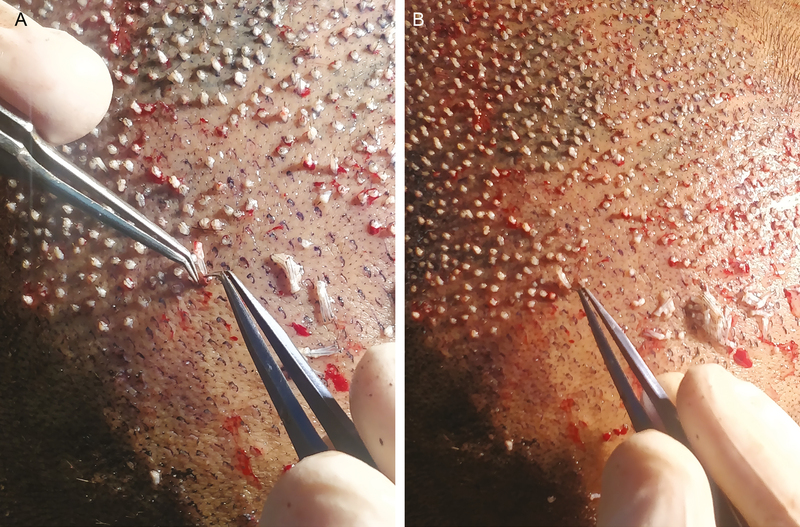 Brandy DA, Meshkin M. Utilization of No-Kor vented needles for slit-micrografts. J Dermatol Surg Onc 1994;20:336-9. Arnold J. Mini-blades and a mini-blade handle for hair transplantation. Am J Cosm Surg 1997;14:195-200. Speranzini M. The use of methylene blue to enhance site visualization and definition of areas by number of hairs per graft. Hair Transplant Forum Int 2008;18:59. Zontos G. The physics of follicular unit extraction. In: Hair transplant 360—follicular unit extraction (FUE). In: Lam S, Williams K, editors. New Delhi, India: Jaypee Press; 2015. pp. 45-68. Dua A, Dua K. Follicular unit extraction hair transplant. J Cutan Aesthet Surg 2010;3:76-81. Available from: www.neograft.com. [Last accessed on October 10, 2018]. Choi YC, Kim JC. Single hair transplantation using the Choi hair transplanter. j Dermatol Surg Oncol 1992;18:945-8. Kim JC. Graft implanters. In: Unger W, Shapiro R, editors. Hair transplantation. 5th ed. New York: Informa; 2011. pp. 404-6. Cooley J. Ischemia-reperfusion injury and graft storage solutions. Hair Transplant Forum Int 2004;14:121,127,130. Parsley WM, Perez-Meza D. Review of factors affecting the growth and survival of follicular grafts. J Cutan Aesthet Surg 2010;3:69-75. Raposio E, Cella A, Panarese P, Mantero S, Nordström RE, Santi P. Effects of cooling micrografts in hair transplantation surgery. Dermatol Surg 1999;25:705-7. Hwang SJ. The effects of dehydration, preservation temperature and time on the hair grafts. Ann Dermatol 2002;14:149-52. Hitzig GS. Enhanced healing and growth in hair transplantations using copper peptides. Cosm Dermatol 2000;13:18-22. Hwang S. Gravity position to prevent facial edema in hair transplantation. Hair Transplant Forum Int 2009;19:80. 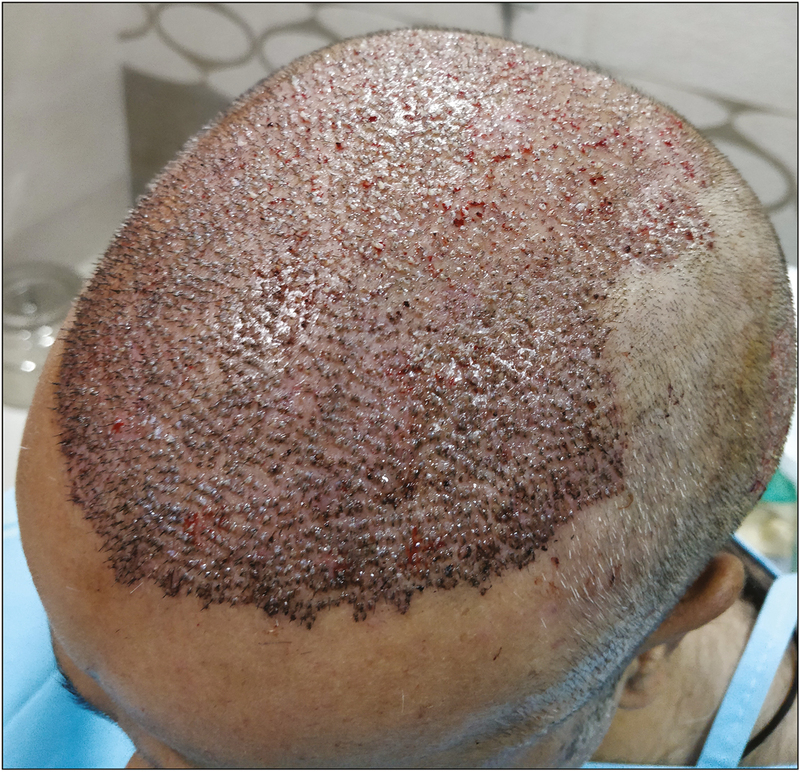 Abbasi G. Hair transplantation without post-operative edema. Hair Transplant Forum Int 2005;15:157. Nordstrom RE, Nordstrom RM. The effect of corticosterioids on post-operative edema. In: Unger W, Nordstrom R, editors. Hair transplantation. New York: Marcel Dekker; 1988. pp. 391-4.